MorgueazM do not stay within just one genre, they do not get trapped within just one style. MorgueazM are diverse. 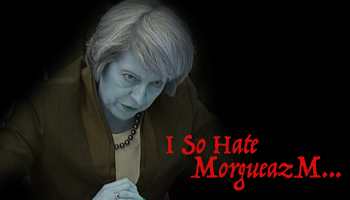 The only things you can be assured of are that MorgueazM will terrify you with their visions of horror, they will entrap you with their addictive sound, they will leave you smiling at their macabre humour and they will seduce you into wanting more. We hope you enjoy our sick nature and if you feel you wish to be kept up with our macabre delights, please feel free to indulge yourself by keeping an eye on our Legion News page! 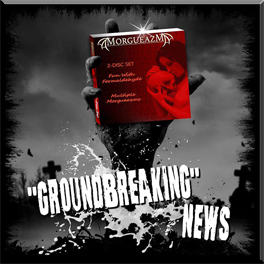 MorgueazM News! October 2018 / For news archive click HERE! LATEST NEWS! November 15th 2018. We have news! and it's a rather spiffing event even if we say so ourselves. Yes you can now own Morgueazm's first two CD releases in a 2 CD set. Remastered with extra bonus tracks, this set contains 26 terrifyingly ticklish tunes to both amuse and amaze. Perfect for Halloween, Christmas, Weddings, Funerals and Bar-Mitzvahs. You can purchase physical CDs (available soon), or download them right now, directly from CD Baby. Click On The Image to the right! An experienced guitarist with a list of bands behind him, Gramie is the main writing force behind Morgueazm. He lives (and will probably die) for METAL!!!!! 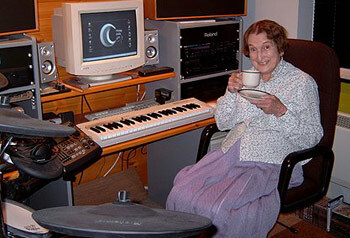 Gramie also produced and presented a metal radio show called The Autopsy Report that broadcasts from several stations over many years. Vocals, Drums, Engineering & Production. A seasoned drummer, genius producer and sound engineer, Brett is the man responsible for the awesomely heavy and sinister sound of Morgueazm. A classically trained musician, producing incredible sounds ranging from twisted psychotic pipe organ to thunderously evil bass lines. Mark is a man to respect and fear. 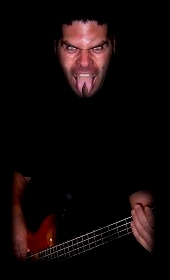 Joe provides the thudding bass lines on "All About Me". 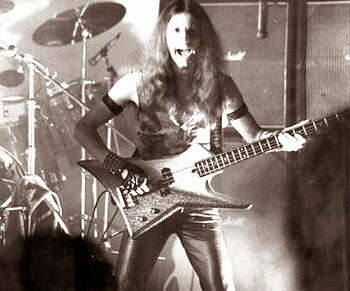 He played in NWoBHM band "Desolation Angels" with Brett during the early 80's so it was good to see the guys back together again on such a cranium crushing tune. Voice of an angel, Genevieve provides the haunting vocals on Rotting Angel and Romancing The Dead. Her voice will caress your spine, then shoot spasms of electricity down it. A truly dedicated Morgueazm Mistress with a sensuous voice. 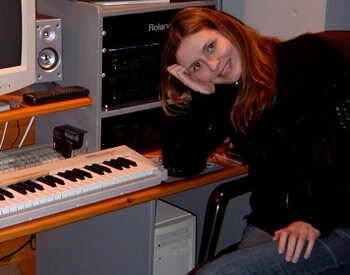 Siobhán provides vocals on "I Lick Your Meat / Succubus and Multiple Morgueazms". See Siobhán on the Morgueazm Mistresses page. Which song does Freda contribute to? Buy the CD and find out! She will scare you shitless! We don't miss the smell of the old boy's farts though! He could roll em out... Soddoff, in your basket! © Morgueazmic Music 2001/2018 any attempt to recreate anything MorgueazM is prohibited and could lead to prosecution.